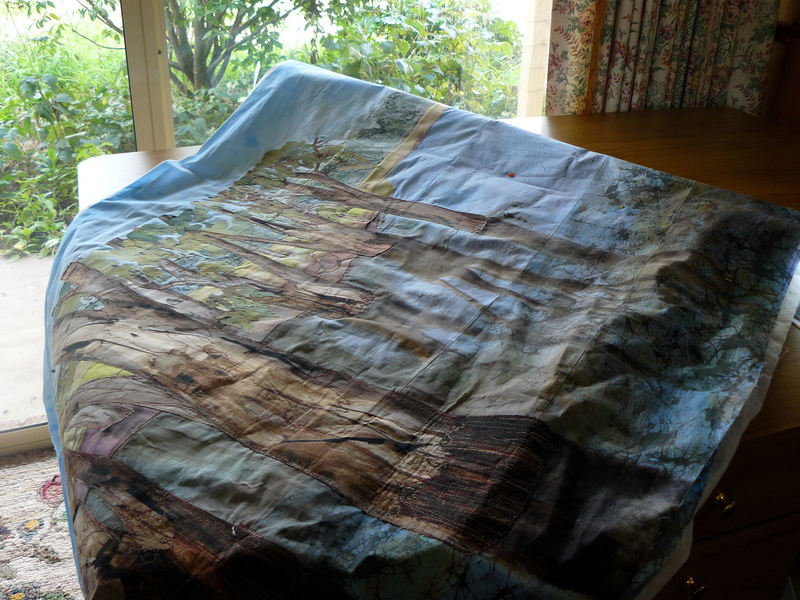 Here are a few pics of the latest quilt, a commission for St. Mary of the Angels SC, Nathalia. 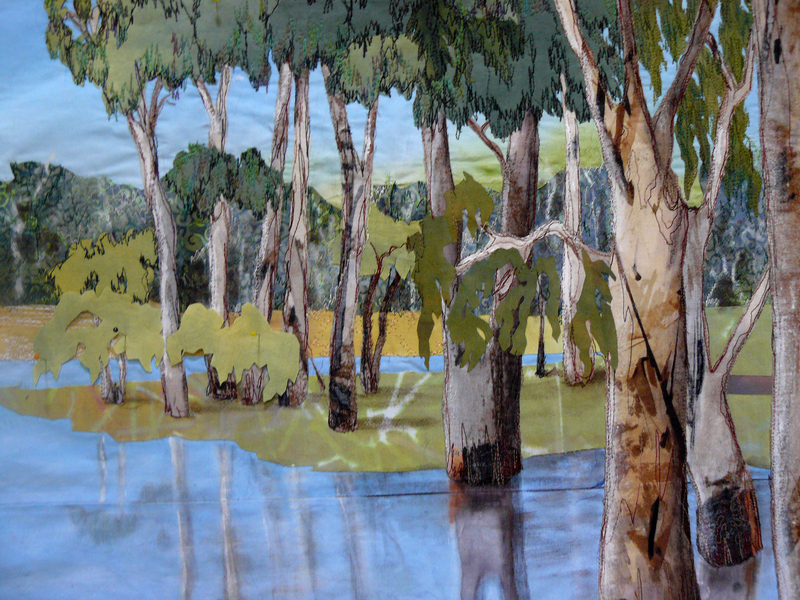 I have been adding leaves, to soften the tree trunks and add perspective. The background is being thread sketched with a selection of variegated threads, which is taking a long time due to the large size. It has been a challenge at times getting the quilt through the machine; I have to do the sketching sideways and upside-down! This is definitely an ‘ugly’ and therefore, scary stage. I’m wondering whether to add a darkish border. 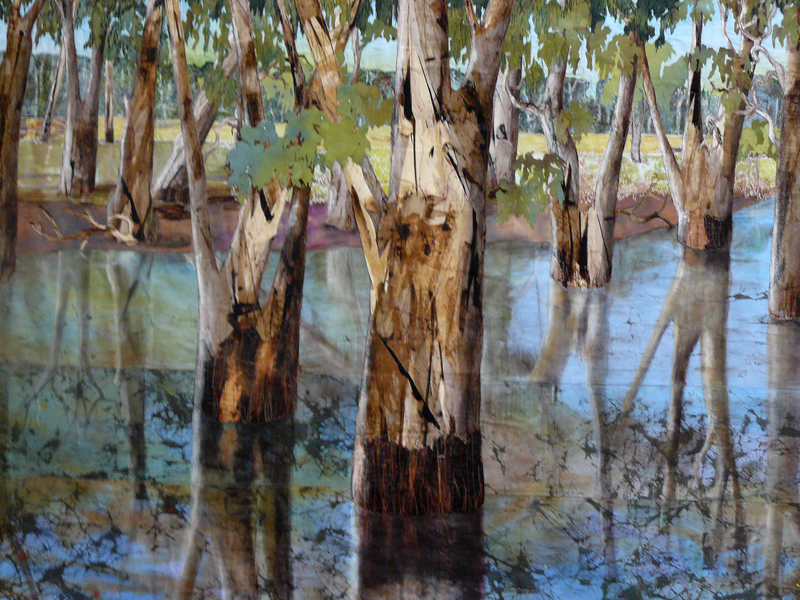 I’m not sure about the title of the quilt….’Red Gums in Flood’ does not sound very interesting–perhaps I will come up with something else by the time I have finished it.